Stand a chance to win $500 cash and a three-year supply of MPM engine oils worth over $1,200 when you service your car with any MPM engine oil at any MPM authorised distributor from 23rd October 2017 to 21st January 2018. Simply upload your receipt and fill in this form to be eligible for the lucky draw. MPM's range of engine oils has been widely recognised as OEM quality by various automakers, including German marques such as BMW, Mercedes-Benz and Volkswagen. These highly complex engines are some of most advanced in the market and, without doubt, require some of the best quality lubricants as well. One of the most commonly used grade of engine oil, the MPM 5W-40 Premium Synthetic C3, meets some of the toughest manufacturer's standards, such as BMW Longlife-04 and Mercedes-Benz MB-Approval 229.51, and is also suitable for modern Euro 4 engines according to ACEA A3/B4 and C3 specifications. These quality standards ensure that the oil is suitable for use in all petrol and diesel applications, with or without a Diesel Particulate Filter (DPF) in diesel engines and catalyst system for petrol engines. 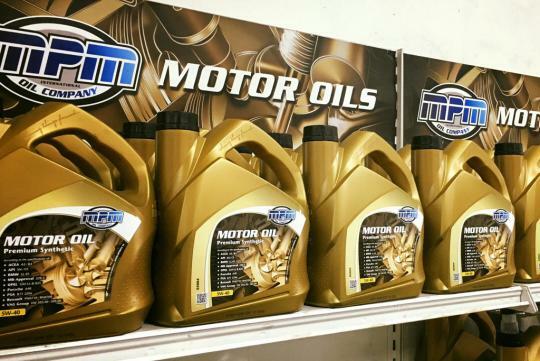 Find out more about MPM engine oils. 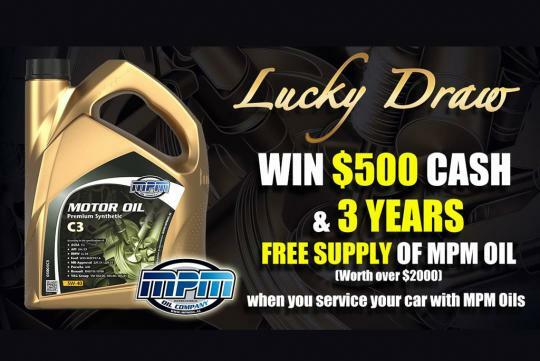 To increase your chances of winning, post a picture of yourself using an MPM engine oil onto your Facebook wall with the hashtag #mpmoilsingapore or to the MPM Oil Singapore Facebook page.